MY DREAM CAME TRUE! 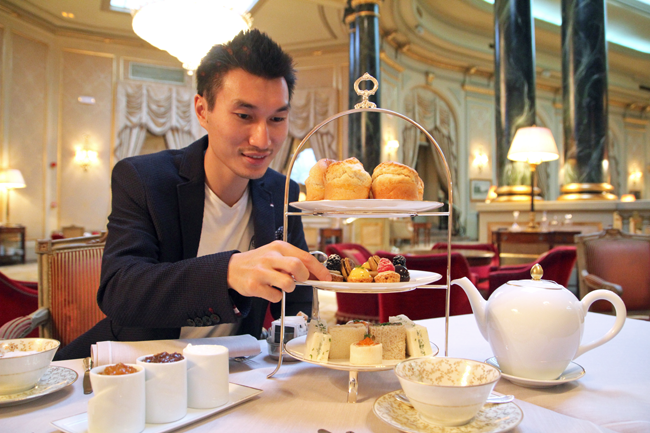 It is finally possible to have an English afternoon tea in Barcelona! El Palace Hotel GL is the first one in the city to offer this culinary treat, and I obviously couldn't be more delighted. I've been dying to go ever since I found out about it some months ago, and finally my birthday was the perfect occasion to go and celebrate. 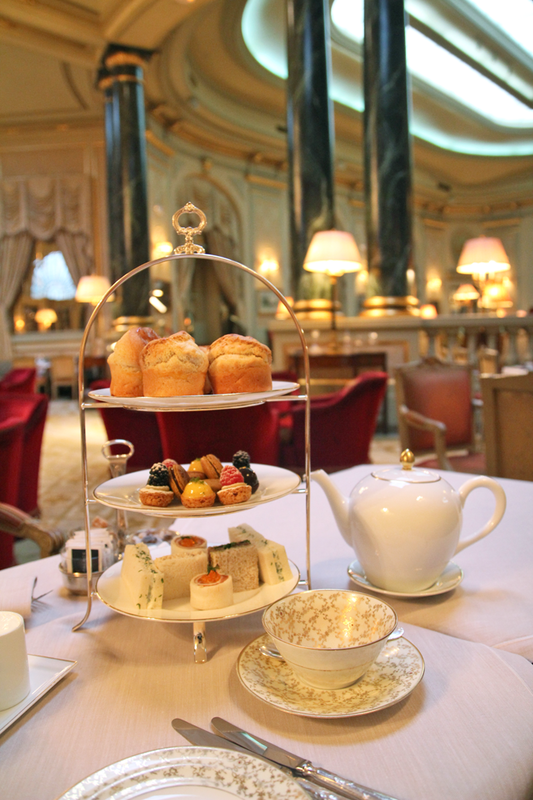 As incredible as it may seem, there really is no other place in Barcelona to indulge in the traditional English afternoon tea. To me it comes a bit as a shock, seeing how every single good hotel in Hong Kong serves it, and not only in Hong Kong where is after all no surprise seeing how it was a British colony, but in pretty much all Asia. 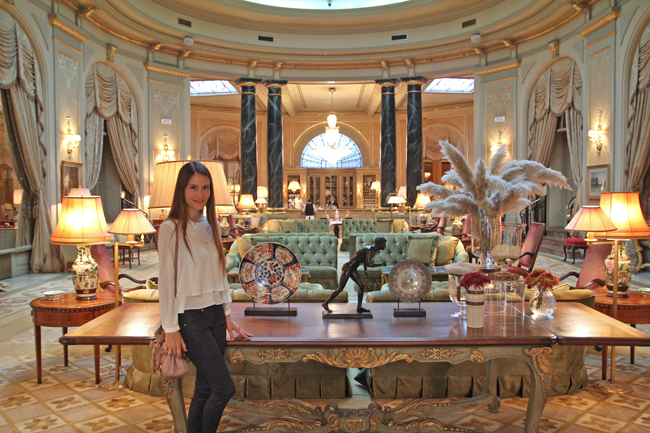 El Palace Hotel Barcelona is an incredible Grand Luxury hotel from 1919. 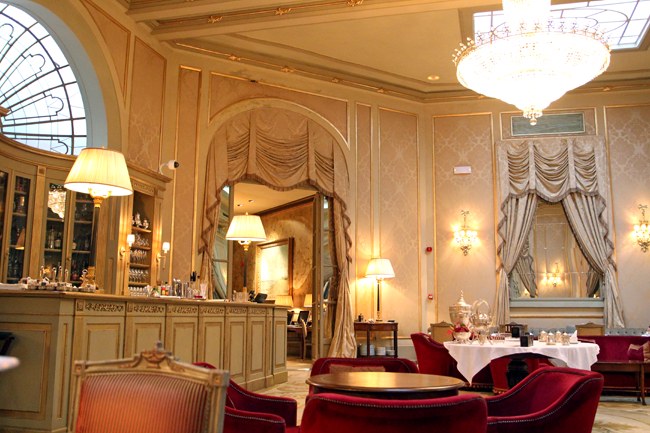 Its luxurious neo-classical style is of an indescribable beauty. Everything is decorated to the detail in this grand old style that makes you go back in time to the beginning of the 20th century. I absolutely adored every single bit of their magnificent common areas, I can just imagine how gorgeous the rooms must be! This tea set didn't disappoint. The food was good, the place was dreamy and the service unbeatable. In fact, it was hands down the best service I've ever come across. The china was a very delicate one from Limoges, France, absolutely perfect. The top layer had 6 scones, 3 plain and 3 raisin. They were so big we only managed to eat two each. They were served with yummy clotted cream, and strawberry and orange jam. I've never liked orange jam, so if I go again I'll make sure they put another one instead, but no big deal. The middle layer had the sweets, basically four caramel macarons and some petits fours that were pretty good. I particularly enjoyed the macarons, and even though they were so good, I would have preferred having two different flavors, since there were 4 macarons. The bottom layer held the savories, three different kind of sandwiches which we finished and were amazed to see they refilled for us! OMG it's the first time I've had a food refill in an afternoon tea. Not that it's needed, really, we couldn't even have a bite of this refill. Drinks, too, can apparently be refilled, and this is definitely always welcome. The drink choice was either tea or coffee, so as usual I went for tea while the hubby went for a cappuccino. It was interesting to see their tea selection. 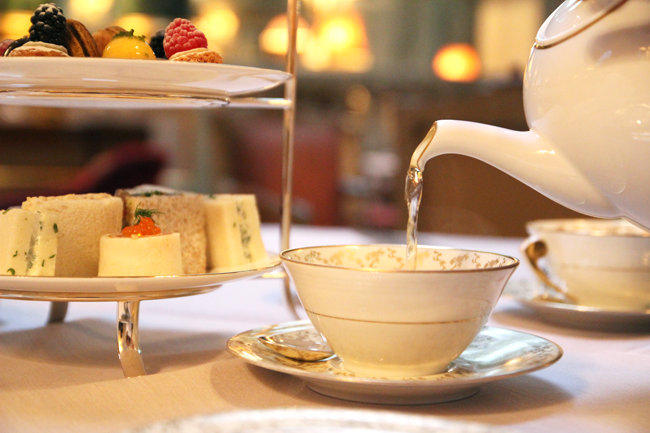 Most were traditional teas from China, while some were teas from India. In Asia, the best high end hotels offer tea blends from French brands (think Mariage Frères, Dammann), which I'm oh-so-addicted to. 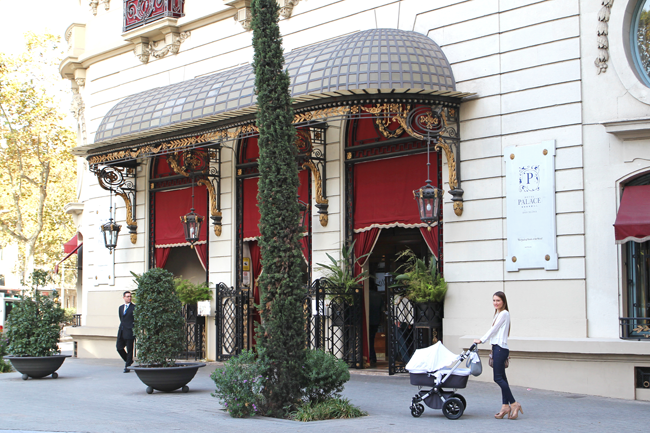 The Palace Hotel Barcelona on the other hand serves pure teas instead, which is fine, too, but I still like blends way better. Would I recommend it? How could I not? 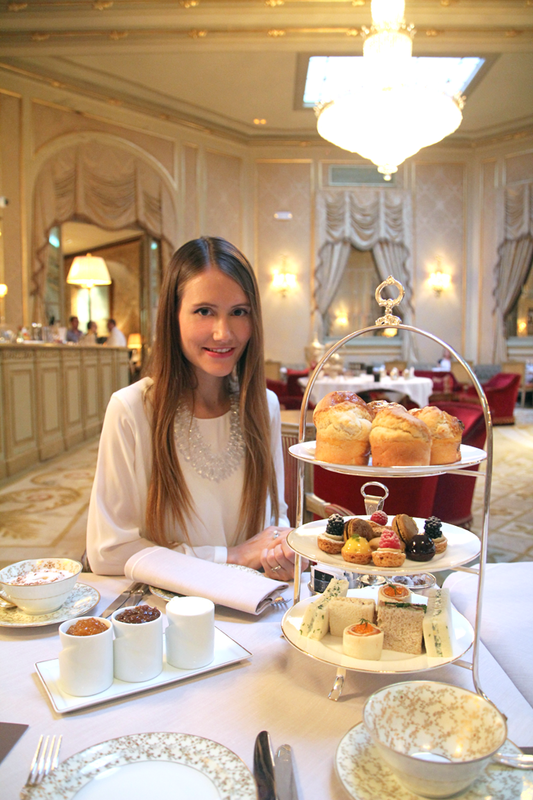 Such a delightful afternoon tea in Barcelona, it's one of a kind!